If you are considering investing in a holiday home you need to be sure you’re doing it for the right reasons. Are you buying for rental income, capital growth or is it a lifestyle investment? Thousands of owners around the world are successfully renting out their holiday homes and enjoying the returns. But if you are looking for a passive income generator, think again. A holiday home is likely to be one of, if not the biggest purchase of your life, and mistakes can turn the dream into a nightmare. Here are 50 top tips’n’tricks on making a sensible investment and acquiring your perfect bolt hole. 1. After a raft of tax and regulation changes affecting landlords, you might discount a buy-to-let investment. The good news is that despite these changes, rewards for holiday let landlords can still be high, with added tax advantages compared to other investments. 2. However, in order to qualify for the furnished holiday letting tax benefits your holiday property must be available for letting to the public for at least 210 days a year and must be let for at least 105 days a year. Is this achievable? 3. If you are buying to maximise rental income, don’t fall into the trap of your heart ruling your head. Buying in an area that you have fond childhood memories about or have visited time and time again isn’t necessarily going to perform the best as a long-term investment. If the holiday property is just for family use, then the thought process will be different. 4. Location, location, location. Fully booked properties are usually located in the best positions, in the most popular destinations. A ‘bargain property’ isn’t a good investment if nobody wants to stay there (including you) and it’s deserted in winter. 5. Maximising your occupancy levels is all about understanding your market and how you can attract bookings. Do you want families, groups or couples? Buy a house with flexible accommodation. Opt for three bedrooms and two bathrooms, with the ideal scenario being each bedroom having its own en-suit, plus generous living and dining space. 6. Do your homework. Use property search sites (rightmove/zoopla) to research sold prices for similar properties, see if the house has been reduced and how long its been on the market for. Use this data to negotiate. You can also set an alert on Rightmove and it will email each time a vendor lists a property in a specific area. 7. Don’t get carried away with your heart. Before proceeding with the purchase obtain an independent valuation and property survey to identify potential problems e.g. subsidence, damp, flooding and seek expert legal advice. Any findings could well give you ammunition to haggle down the price. 8. The proximity to amenities is essential for both holidaymakers and you. Is there parking outside, can you walk to shops, restaurants, beaches, pubs, ski slopes, golf courses, supermarkets, country walks, tourist attractions etc. 9. Is the holiday home easy to reach by car, boat, air and train? Gridlocked roads in the peak season or limited travel services could make getting there an unpleasant start to the holiday and deter travellers. 10. Holidaymakers like outdoor living space where they can relax. A property with a balcony, terrace or garden with space for a hot tub is a major draw. 11. Ensure a fast internet connection is available at the cottage, especially if it’s rural. Wi-Fi is probably one of the most requested features and could be the deciding factor when guests are debating one cottage over another. 12. For year round rentals ensure the heating is sufficient. Choose a property with/or one that has the potential to add a wood burner or an open fireplace. This creates a cosy ambience that walkers and winter travellers are looking for. 13. Can you legally rent the place? If it’s a flat/apartment then running a holiday let may be against the rules within the leasehold. 14. Consult the local planning authority to investigate any planned developments in your area? A new motorway, housing estate or train line could have a detrimental effect. On the other hand, a golf course or cycle trail could enhance the property. 15. View the area at different times of the day or even year, to get an idea of what the area is like – noisy, deserted, gridlocked. Why would anyone want to come on holiday here? 16. Is it place where you plan to retire to? Noise, gridlocked roads, hordes of tourists are bearable when you are on holiday, but when you live there it may all be too disruptive. 17. 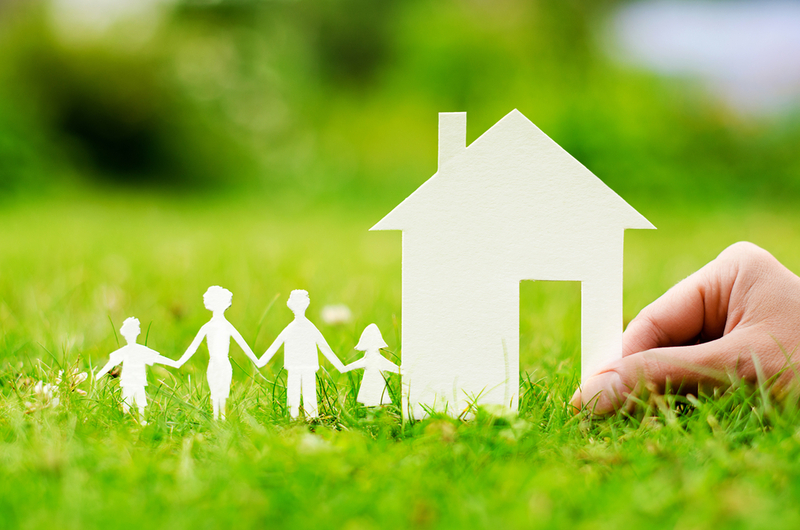 Always get a couple of home insurance quotes before you purchase a property to ensure cover’s available. This could flag up potential issues with suitable cover and premiums, such as if the property is in a flood-risk area. The Environment Agency website is another useful resource that you should use. 18. If you dream of enjoying a healthy return on your investment from the offset, then think again. In the first couple of years you will be lucky to break even. There are significant expenses involved in setting up and running a holiday let all year round. You’ll need to factor in any mortgage repayments, property management, cleaning, maintenance and breakages, taxes, insurance, electricity and water bills, traveling expenses (if you are not nearby) to name just a few. 19. Do your sums – would a holiday let provide higher rental yields than a buy-to-let property? Make sure buy-to-let is the investment you want. Your money might be able to perform better elsewhere. 20. If it’s about the financials then invest for high rental yield to maximise your income – not potential capital gains. Do the numbers add up? Will the rental income cover your costs, make a profit or loss? 21. Check the books. If the property is an established holiday let and the vendor is adding a premium for the rentals, ask the current owner for proof of previous rental income. Don’t overpay for the established business if similar bookings are easily attainable. 22. Do you want to use the property and how much income will you lose by doing so? 23. How much are similar properties renting for? What is the potential occupancy? 24. Researching the competition is pretty straightforward. Simply head over to HomeAway.co.uk or Airbnb.com and do a rental search for similar properties in your area. Immediately you’ll get an insight into your competitors’ prices and occupancy rates. Bear in mind that some of the blocked off dates will be the owner/family using the property and established holiday rentals will have higher occupancy rates (due to repeat guests) than those just starting out. 25. Speak to a holiday cottage letting agent who has experience renting similar properties in your area. How much rental income can you realistically expect? Don’t rely on projected figures from the person trying to sell you the property. 26. Calculate the net rent (income minus the costs of running/maintaining the property), divide this into the value of the property and multiply by 100. 27. So for example if net rent is £10,000 and the property cost £200,000 the yield is 10,000/200,000 = 0.05 x 100 = 5% yield. 28. Bear in mind the average occupancy rate is around 21 weeks. However, some more popular areas average around 24 weeks occupancy and those in the Lake District 40+ weeks. 29. How long will it take before the property pays for itself? 30. Consider budgeting about 1% of the home’s purchase price for annual maintenance. 31. Is there demand for another holiday rental or is the market saturated? One consequence of market saturation is under-pricing to get bookings, which means low margins. If there is no demand, or profit, then the whole exercise could be doomed from the start. 32. Is there year round demand? Properties near beach resorts may attract very high prices during the summer, but stand empty for much of the rest of the year. Will you be able to fill low season weeks? 33. Pick a holiday let property that has both rental and resale potential, even if it’s not the property of your dreams. Focus on the market/booking potential. 34. And if you are buying your cottage purely to maximise rental yield, don’t be influenced by your own subjective choice of location. Just because you fancy a remote little hideaway miles from anyone, with no internet to disturb you, it doesn’t mean that it will have a universal appeal. Research the market and don’t try to re-invent the wheel. 35. If you are buying a holiday home as lifestyle investment (family holidays) then it’s likely your focus will be on the property and location rather than any potential rental yields, but don’t neglect the potential for capital growth over the long term. Can you add value by developing? 36. What is the re-sale potential? It’s important to research how prices have appreciated/depreciated over the last ten years. While this is no guarantee of how it will perform in the future, it will give you a good historical overview. 37. Property investment can be a great way to make money – but unexpected repairs and lack of rentals is also a quick way to lose money. 38. No-one really knows what is going to happen to house prices over the next few years. Concentrate on the bigger-picture, invest for the long term. Are you buying it for the right reason? 39. Why are you buying a holiday home – rental income, capital growth, lifestyle investment to enjoy holidays with family and friends or a mixture of all three? 40. To run a success holiday let business you will need to work hard. Expect to spend an average of nine hours per week marketing and managing your holiday rental, plus two hours for each changeover. The commitment is 7 days a week, your guests come first, your family, evenings and weekends second. 41. Are you a people person? If you are managing the property yourself can you deal with the stress when something goes wrong – like the boiler breaking down in December at midnight. 42. Buying a holiday home commits you to holidaying in the same place. Do you want to return to the same spot every year? 43. Who will look after the property when you aren’t there? Is there a local workforce who can clean, do changeovers, tend to the garden? 44. If you are investing from a distance or don’t want to deal with the stress of taking care of bookings, guest and management, look around for the best cottage management agency. But expect to pay 20-25 per cent for property management services. 45. As much as you like to stay in your property yourself, bear in mind the peak periods is when you make the most money so school holidays and summer will be off limits, unless you are prepared to forgo maximising rental income. 46. Some people view a holiday home as a way to save on accommodation expenses that would otherwise be incurred when staying elsewhere. Weigh up the expenses involved in running a holiday home – you could take a lot of nice trips each year with this money. 47. Will you feel comfortable with other people staying in your holiday cottage? 49. If you are at the viewing stage, then this helpful infographic lists some essential questions to ask when viewing a property. 50. Time time to reflect. You are in a fortunate position – enjoy the process. If you are looking to make millions, then letting out your holiday home is probably not the best way to go about it! However, if you enjoy meeting people, are looking to perhaps escape the ‘rat race’, then a holiday letting is a way to generate an income whilst being your own boss. Like all investments there are risks when purchasing property, but there also opportunities. The key is do your research and treat a holiday let as you would any investment – do not let your heart rule your head. A holiday home means you have your own bolt hole which you can visit as and when you wish and let it out to help contribute to the running expenses. Regardless of your motives for buying, it’s a ‘lifestyle investment’ many aspire. Do you have any holiday property purchasing tips or pitfalls to avoid? Please share them below. Hi Jenny, for many it’s a long term investment that is for both financial and lifestyle reasons. Owners take family holidays in their properties and rent them out to contribute to running expenses. I’m sure there are alternative investments with greater financial ruturns, but not as enjoyable as holiday homes. We are thinking of buying a property in Turkey as a rental investment primarily and also for use as a holiday home. Our budget is around £90k. Does anyone have any advise on areas that will give the most in holiday rental return? Thanks.